Joseph's pit came in the form of a cistern. Yours came in the form of a diagnosis, a foster home, or a traumatic injury. Joseph was thrown into a hole and despised. And you? Thrown into an unemployment line and forgotten, into a divorce and betrayed, into a bed and abused. The pit. Life is reduced to one quest: to get out and never get hurt again. Not simply done. Pits have no easy exit. Joseph's story got worse before it got better. Abandonment led to enslavement, entrapment, and imprisonment. He was sucker-punched. Sold out. Mistreated. People made promises only to break them. Offered gifts only to take them. If hurt is a swampland, then Joseph was sentenced to a life of hard labor in the Everglades. Yet he never gave up. Bitterness never staked its claim. Anger never metastasized into hatred. His heart never hardened; resolve never vanished. He not only survived; he thrived. By the end of his life, Joseph was the second most powerful man of his generation. His life offers this lesson: in God's hands, intended evil becomes ultimate good. Joseph would be the first to tell you, life in the pit stinks. Yet, for all its rottenness, doesn't the pit do this much? It forces you to look upward. Someone from up there must come down here and give you a hand. God did for Joseph. And at the right time, in the right way, he will do the same for you. The same God who stepped in and rerouted history carries us through our struggles and fears today. Have you wept more tears than you knew existed? Maybe you dread facing another day without the one you love. Perhaps the test results came back positive, or your bank account doesn't account for much. There's no escaping it - the challenges of life can be overwhelming. But when your source of hope comes from the Source of all power, you will experience His new mercies in each new day. 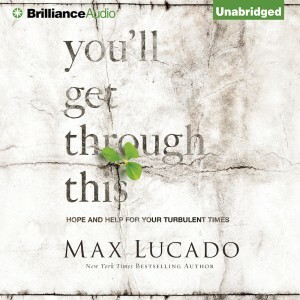 Using themes from Joseph's life and modern-day personal stories, beloved author Max Lucado beautifully weaves a connection between life's most tragic difficulties with threads of hope, comfort, and strength we receive as God carries us through. It won't be painless. It won't be quick. 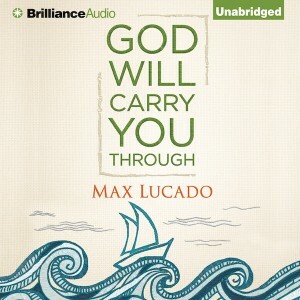 But God will carry you through.